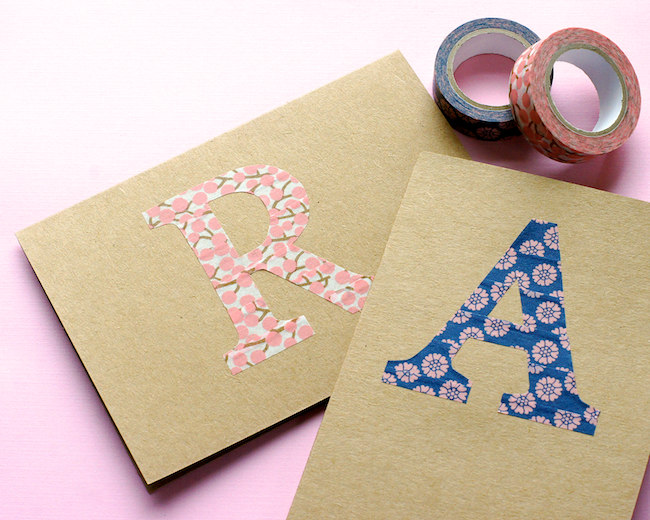 Simple monograms are a wonderful way to dress up blank notecards - and a great opportunity to use your favourite washi tape designs! Determine which side of your parchment / waxed paper is best suited to easy removal of tape. 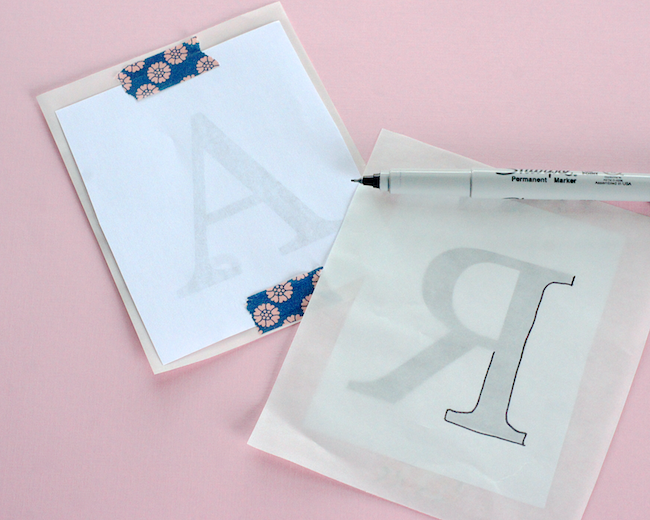 Test by applying a piece of tape to your paper and then peeling it off - whichever side allows for easiest removal is the side you will want to build your letter on. Place the printed letter face down on the side of the paper which you've determined is the easiest to remove tape from. Make sure you're working with the mirror image of the letter. Still with me? Tape the letter in place. Flip the paper over and trace around the letter. Turn the paper back over and remove the printed letter. You should now be looking at the outline of the letter through the paper - the outline you just drew will be face down. Lay strips of tape in consecutive order from top to bottom (or bottom to top) ensuring that each tape strip slightly overlaps the one before it. 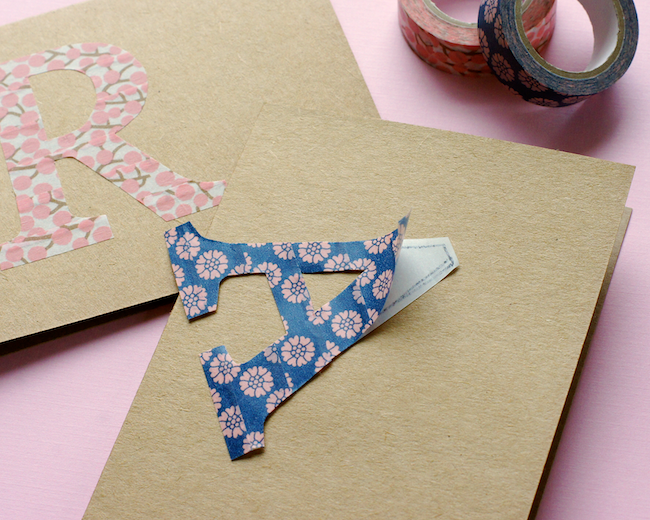 Once the letter is totally covered in tape strips, flip your paper over and cut out the shape. 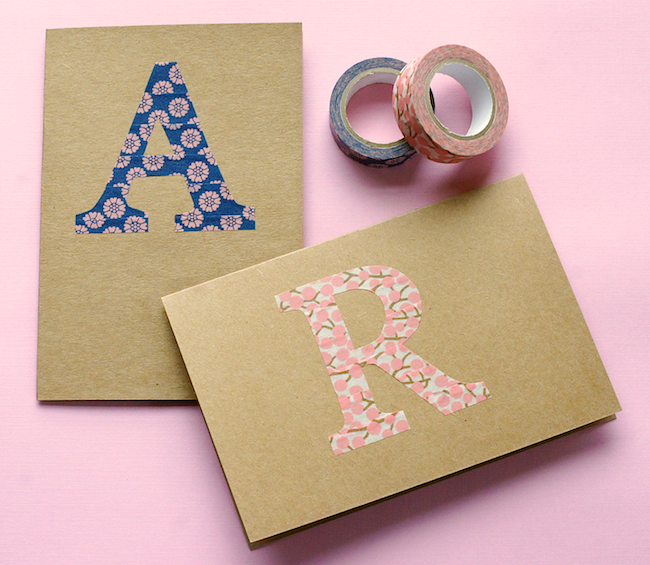 When cutting washi tape letters, I like to make them a little chunkier by cutting a little outside the lines. 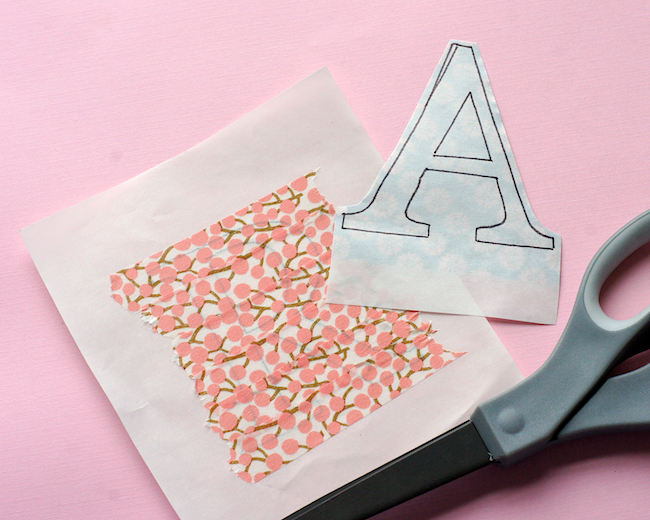 To cut out enclosed sections - like in the A + R above - you can use a hole punch to make a small access hole in the centre of the section before using your scissors to remove the shape. 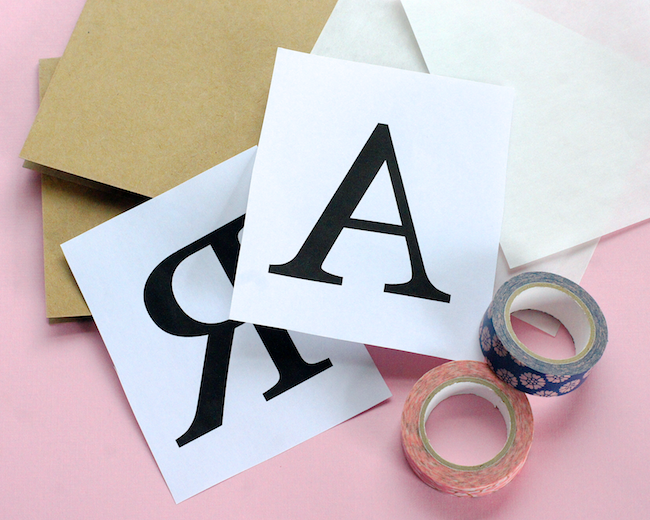 Carefully peel your letter off of the paper backing - ensuring that you start with the first tape strip you placed or else the letter will likely (heartbreakingly) come apart. Apply to the desired position on your card. Feeling ambitious? 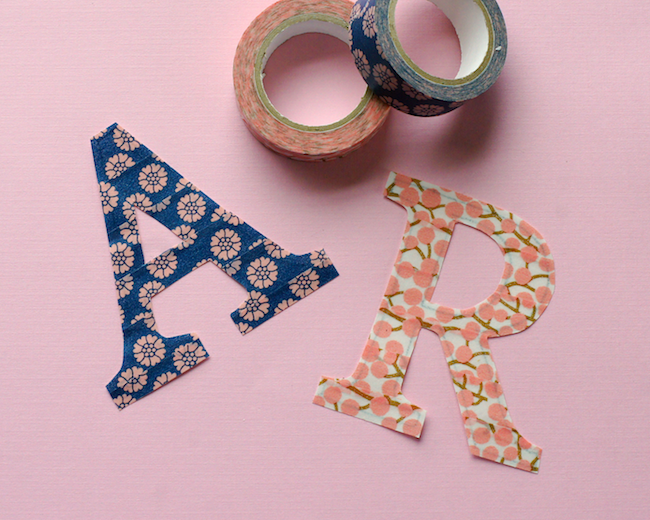 Why not spell out whole words or names with washi tape?! I did on the front of these cards and love the look. 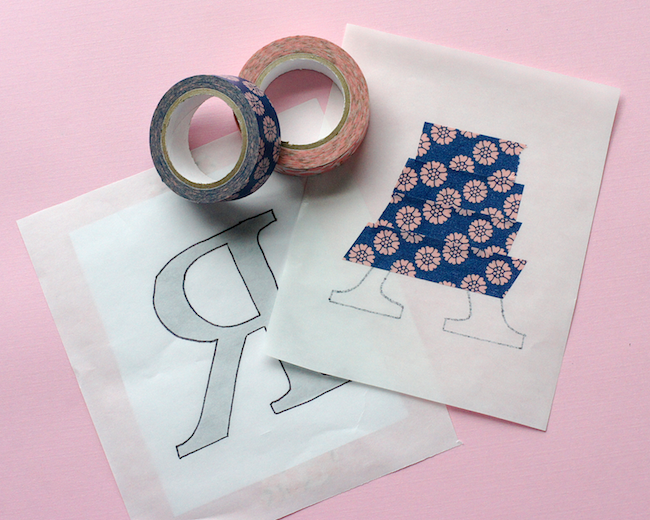 Great use for washi tape! There's a tone of crafting ideas you can do with this stuff!! Thanks Sabrina! It's true - it's a real multi-tasker. Wow great idea, Thank you so much.